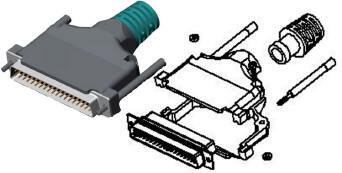 ISCENGINEERING " Wire Management Products " provide simple yet cost effective strain and flex relief to a variety of problem areas in the typical interconnect products arena. Strain relief products currently available in the industry are limited in scope and availability. 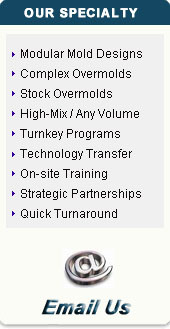 ISC provides standard solutions, ON-the shelf and readily available. Custom solutions are also available in a few weeks, with no tooling required. 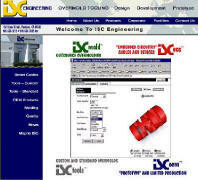 The design combinations have been reduced with the introduction of our 3D on-line configuration tools. Innovative design and development of our interactive, on-line design tools are an industry first for Wire Management products. With the ability to design and download the engineering files, ISC provides award winning ease of use to the OEM and Distributor users. Readily available products from stock is also available at cost effective prices. 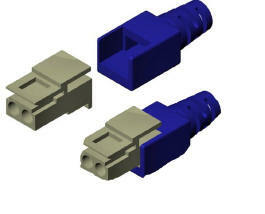 CUSTOM solutions are also available with minimal tooling and lead-time. 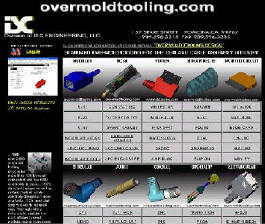 overmoldtooling.comis the industry leader in development of overmold tooling and design solutions within the interconnect industry. Founded in 1999 to expand the use of overmold solutions, and ease the burden of design and tool making, ISC Engineering provides the "know how" to get the job done.